M.B.B.S from Aug King George’s Medical College (Now King Georges Medical University), Lucknow (U.P. ), M.S. (Gen. Surgery) from Sarojini Naidu Medical College, Agra (U.P. ), Mch (Neurosurgery) from Sree Chithra Thirunal Institute of Medical Sciences and Technology, Trivandrum, Senior Consultant Centre for Brain & Spine. • MCH (Neurosurgery)-Shri Chithra Thirula Institute of Medical Sciences & Technology Trivandrum. 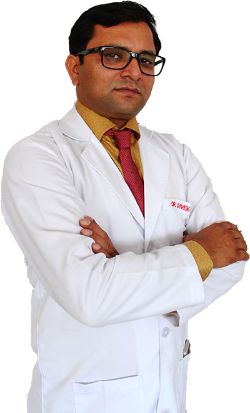 Senior Consultant and H.O.D, Department of Neuro & Spine Surgery, Fortis Hospital, Shalimar Bagh, New Delhi, Senior Consultant and Unit in-Charge, Department of Neurosurgery, Asian Institute of Medical Sciences, Faridabad, Consultant Neurosurgeon, Asian Institute of Medical Sciences, Faridabad, Assistant Professor of Neurosurgery, Academy of Medical Sciences, Pariyaram, Kerala, He has an experience of around 2000 Neurosurgical Procedures including Aneurysm surgery, Brain haemorrhage surgery, Complex brain tumors, Brain tumors of children, Keyhole spine surgery, Surgery for Epilepsy and Parkinsons disease. Senior consultant & HOD, Department of Neuro &Spine Surgery, Fortis Hospital Shalimar Bagh, New Delhi. • Senior Consultant & Unit in-charge, Department of Neurosurgery, Asian institute of Medical Sciences, Faridabad, Delhi NCR. • Consultant Neurosurgeon, Asian Institute of Medical Sciences Faridabad Delhi NCR. • Assistant Professor OF neurosurgery, Academy Of medical Sciences, Pariyaram Kerala. • He has an Experience of around 2000 Neurosurgical Procedures Including Aneurysm Surgery, Brain hemorrhage surgery, Complex brain tumors, Brain Tumors of children, keyhole Spine surgery, Surgery for Epilepsy & Parkinson’s diseases.